Blog — There is no "Away"
Stunning that when you first step from the bike path into the sand, you're swallowed up by the beauty of the place. But if you're me, you cut that whole romantic moment short, and cast your gaze downward. Down where this stuff lurks tangled in the seaweed washed up on shore, and scattered around to be practically camouflaged, half buried in the sand. I trawled this collection in one hour in a fairly straight - like tipsy straight - path along the bands of seaweed. I came across a few kindred spirits along the way. A sweet Japanese man who upon observing what I was up to, gathered some pieces of styrofoam and bottle caps and brought them to me - no common language necessary thank you very much. And this fine person you see here? She had her own two bags of trash from the very same beach, and informed me that she had gathered just as much the day before. I found more "fresh" plastic that had been accidentally left behind on the beach - (sand toys, cigarette butts, styrofoam, straws...) than I did pieces that had been washed back onto shore (mostly pieces wrapped up within the seaweed, more bottle caps, cap liners, broken pieces of plastic...). What I didn't find was one stretch of seaweed that was plastic free. Outside of strictly limiting the use and production of traditional plastics - like STRICTLY, this is a conundrum with no end. Even the best intentioned among us will accidentally let loose some manner of plastic here and there - How can we NOT, when everything is either made of, or packaged with plastic? It's almost literally everywhere. Until I get it banned from the world forever, I think the best we can do is fastidiously contain the pieces that pass through our day to day lives - like it's a hazardous material - because it is. That's precisely how much NEW water will be generated in the next million-jillion years. All the water that exists in earth's atmosphere is all that ever was, and all that will ever be. So, as I've been collecting all those lowly discarded and forgotten water bottles, and simultaneously learning about the stupefyingly low rates of plastics "downcycling" (can't fairly call it recycling when it isn't possible to make a new plastic bottle out of an old plastic bottle) - I'm increasingly aware of the seemingly small amounts of water droplets that are in every single one of these plastic bottles. Nevermind that all those once pristine droplets of water would now likely test positive for little things like estrogenic activity and phthalates (particularly after exposure to sunlight and warm temperatures while stored in a polyethylene terephthalate (plastic) bottle) - What I'm grappling with here, is that the majority of those water droplets are being taken out of the water equation. Permanently. For the first time in the history of ever, water is being taken out of the water system. The U.S. consumes 50 billion plastic water bottles annually. According to the Container Recycling Institute, roughly 86% of plastic water bottles in the United States go to landfill each year. Looking at several of my collected plastic water bottles, let's be conservative and say that each one has 40 drops of water still clinging to the sides (I easily count 20 generous "drops" in the small section of a water bottle pictured above). This means that every year, more than 22 million gallons of water get locked within these bottles, and buried beneath tons upon tons of garbage, where it will eventually be sealed in an anaerobic tomb that is the modern day landfill, for the rest of time. Permanently lost to toxic landfill tombs every year. Okay, first up today is a gentleman with a landscaping business. Sir, kindly state your request for resources. Landscaper: "I'd like to print a flyer on colored paper..."
I don't suppose we have a problem with that sir, you may proceed. Next! Landscaper: "Wait! I'd like to take that flyer, and then seal it in a clear plastic bag along with two rocks to weigh it down so the wind doesn't blow it away." You want to take biodegradable paper, along with two rocks that have taken eons to form, seal those three items in a clear plastic bag that will last for all time, and then drive around and throw them out of your car window in the general direction of local driveways? I see. What will happen with most of these marketing-bags containing rocks and paper? Landscaper: "Well, most of them will be thrown away, but a few will result in some business leads for my company. So, may I have please have the resources for this marketing campaign?" No. Don't be an idiot, this is a terrible use of resources. What kind of lunatic seals paper and rocks into forever-lasting plastic bags, most of which will head to a poisonous landfill that will eventually be "sealed" forever? (minus the toxic liquid contents that may or may not leak into groundwater tables when and if the impermeable layers of the landfill give way over time). NO, print your dang flyer and put it in the person's mailbox like everybody else, you don't get ANY plastic, and for heaven's sake use your head, don't take the rocks out of the natural cycle pictured on the left, and lock them into the toxic unnatural tomb on the right. Duh. Plastic collected on a recent dog walk in my neighborhood - seeing these two plastic landscaper bags on an empty lot prompted this post. I'll concede that the genius who dreamed up this concoction, deserves credit for Most Inventive Way to Trick Us into Exchanging Money for Garbage. Bravo, I mean I don't know how he sleeps at night, but he did get people to pay close to $20 for a package of colored, sticky, styrofoam. I'd like to say that we consumers are too smart for this, but I can't. I don't think concerns about the quality, or lifespan of the products we buy, are crossing the consumer mind. We are rendered defenseless by bright colors, obnoxious graphics, and "deals". How else can you explain catalogs like Oriental Trading Company or Rhode Island Novelty? Here's the back of a recent Rhode Island Novelty Catalog: The irony of this company giving a shout out to Earth Day is a forehead slapper. I mean sure, they sell bouncy balls that look like the earth; "They're a global approach to hi-bounce fun!". Can't argue with that. For .35 a piece, you can order blue glow sticks that offer a "fun blazing beam of light", or if you're feeling spendy, an inflatable Princess Hammer ($1.15 each), because face it, those last a long time and can't be annoying. But if you're looking for "an opportunity to wave Old Glory with patriotic pride", look no further than the Plastic USA Flag, mind they're sold by the dozen and will set you back .23 a pop. But how do you put a price on American pride? Actually, I owe companies like Rhode Island Novelty some acknowledgement, because their ticky-tack, cheap, environmentally-toxic products brought me deeper into the fold of wanting to better understand the situation we're facing with plastic pollution. Nevermind that we're doing EVERYONE a colossal disservice in giving kids this worthless, shiny, tacky, crap. I think we grown-ups get high off of the temporary delight kids display when presented with it. This particular form of stupid is on us, and the sooner we take stock of it, the better. Better for the kids, and profoundly better for the planet they're soon to inherit from us. This is the catch from my bike trawl home from Marin Power Yoga yesterday. These are the pieces of plastic I took the time to stop to pick up, again, not the most expedient way to commute. Hey, guess what dryer sheets are made of? It really hadn't occurred to me until I passed the one you see in the picture, and then turned my bike back around to pick it up. Besides the fact that it is indeed made of polyester (thus existing forever, hooray), I noticed that the smell from it gave me an instant headache. The chemicals in it, and so many common household products are another can of worms altogether, but I will say, as a kid raised on Tide, Downey, Windex, Lysol, Clorox, Comet, Bounce, the whole lot - once you switch away from them and allow your body to begin to clear out those chemicals and toxins, you'll never be able to tolerate them again. 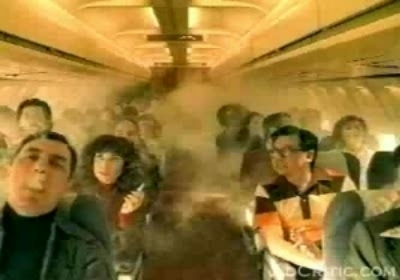 In a way, it reminds me of how the people least tolerant of second hand smoke, are often former smokers - can you imagine being on a plane with a smoking section nowadays? Hard to believe that used to be a thing. "If every household in the U.S. replaced just one box of polyester fabric softener sheets with our paper sheets, and composted after use, we could prevent 7,400 tons of solid waste from entering our landfills." There are a variety of options available for anyone wanting to ditch the plastic version, as well as to avoid the chemical exposure - It's a win-win, or at least a respectable step in a better direction.